The Green Mountains Await You! Hey, I got to take on a second warrior family. I know the rule book says just one, but I had to beg Laurie to bend the rules for me. How could I not for this one? A family who lives in Vermont who is adopting twins? YES! I’m a twin and started my family in Vermont. I must claim them before someone else does and soak up all the awesomeness of their journey. 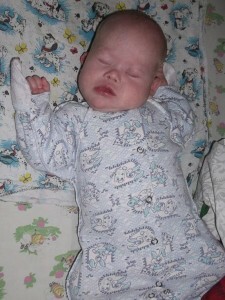 We added, “These precious, beautiful, twin baby boys both have Down syndrome. What a gift to have them listed so young — they can be home easily by their first birthday!” And indeed they could be home by their first birthday. This country has a very quick adoption process. Some families just remain in country rather than taking two trips as is done commonly in other Eastern European countries. There is currently over $100 in the little boys adoption fund, money that was dumped in by us members of the adoption community in the first matter of moments that the boys were listed as we wooed and awweed over the preciousness of these sweet faces. I’m sure I was not the only who found myself closing my eyes and saying, “Sweet Jesus, lead a family to these babies. In your name, amen.” Was it even a whole month before the twins were on My Family Found Me? It was so fast! The Lord sees these kids. I could type that so many times, and I plan to, in every opportunity that I have to speak of orphans I want to shout forth praises and thankfulness that although I cannot see these children, Jesus does. These photos of Simon and Samuel were taken March 2014. I wonder if by thanksgiving when they may be home, they’ll be sitting perhaps toddling around and have grown in some hair. The family that I am thrilled for and thankful to be getting to know are Theresa Cianciolo and her husband. The little boys will be children 5 and 6 for them. OK. I’m busting to tell you that my Angel Tree child Mikey has been committed to and am excited to learn who is bringing him home–but to stay focused here!! There has been an unfair ratio of girls adopted over baby boys going home, or so it appeared til recently! We’ve had so many commitments to young guys and older also. It’s thrilling to see this gap coming even. There’s also families who are picking up a second child into adoptions, that’s wonderful to see happening. No knowledge of the state of the boys hearts or any other potential points of keen awareness that ought to be had for being prepared for welcoming home a child who has Down Syndrome. The future family of these babies sees just what you do: two sleeping children in gender neutral sleepers peacefully oblivious in their moment of restfulness. They appear healthy and are available for international adoption and as of this week (!!!) committed to for coming home. What’s taking me so long to admit that I’m giddy to see someone from Vermont adopting? No wait, I went back and edited that into the first line or so. I am psyched. I’ll have even that much more reason to go back and visit, if saying hello to good times again isn’t going to be enough one day. 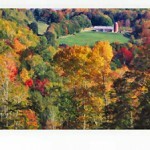 In my time in Vermont I made some wonderful friends and got the best medical care that I have had. My life has been a struggle with epilepsy, and through the depression and failure, through the side effects of meds and insomnia and head aches through the embarrassment and exasperation I have always had my identical twin who has the same problem by my side to prop my body against. We have been each others strong hold and scratching post through the years and I think she too would have to confess that she wouldn’t know what to do without me. We would have had so much of a harder go at life without each other, and I imagine that as life goes on we will continue to need each other. 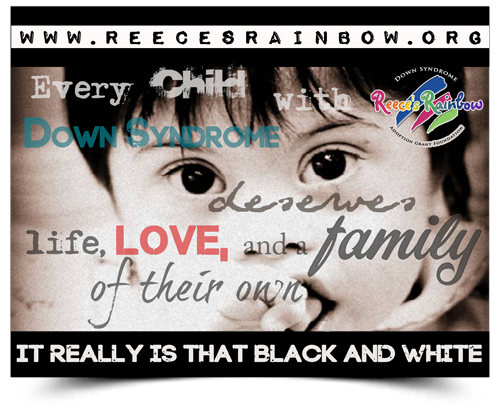 Children with Down Syndrome are often transferred at age 4 to mental institutions to live out the rest of their lives. If the boys aged to that point in their country there is far from guarantee that they would stay together. Twins have a way of knowing that there is another one of them, there have been so many studies done. Praise be! They’re going home for mama snuggles, and for Daddy to wrestle with them in the living room and take them on fun outdoor ventures. These kids will know the freedoms of creativity, nurturing and holistic living. There are so many hopes and dreams that I have for these little guys. My children’s lives started out in Vermont where these boys lives beyond bars will begin also. It’s a wonderful place to be. Fresh air, green trees and rolling mountains. The autumn, or foliage season as we call it, is the most gorgeous collection of colors that you could ever ask for in nature. There are all sorts of fun activities and places to be for families and room to run, horses to ride and adventures to be had. Your new world can hardly wait to meet you, Simon and Samuel. May God keep and protect you where you were born and took your first breaths until your mama and papa come for you. Where will the fund raising begin? I want to have fun with this! My family bringing home preschooler Keegan has an upcoming art work sale and a Scentsy candle event. They are in their first stages of adoption also and have two adoptions already. I love the adoption community and treasure everyone’s journey to their precious children. I love this family already! Be it serving those who are bringing home children, or helping in the community to ease the suffering of women and children I believe that not only is there opportunity to help, but command to do it. Roll up your sleeves, put on your thinking cap and make some time to helping. My husband say to focus on the word “help” in this verse and to always come back to my family! Join the Family Warrior program and lend a little help to someone in need of a prayer buddy along their adoption journey and get as excited as I am to live vicariously through someone else. So glad you are helping us you write wonderfully 🙂 thanking The Lord for sending you to us and the twins. You’re very welcome! Enjoy all the paperwork that you have ahead. It’s worth every second!